Choir rounds out busy month - Kapiti Playhouse Inc.
May is a busy month at Kapiti Playhouse. 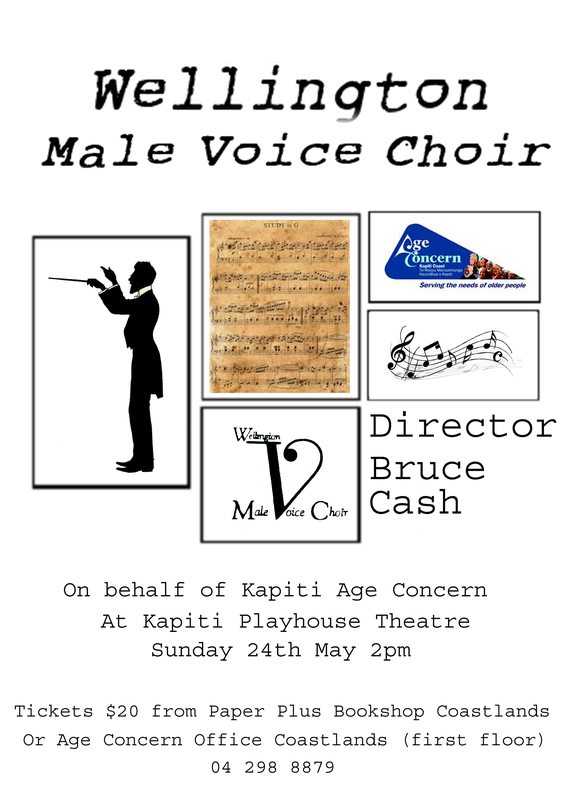 Not only is Kapiti Playhouse hosting Andrew London in concert (on May 15th), and the auditions for Secret Bridesmaids’ Business (on May 17th), but on Sunday 24th May at 2pm we are hosting the Wellington Male Voice Choir. Featuring a wide range of song genres (we’re told there’s even Bohemiam Rhapsody! 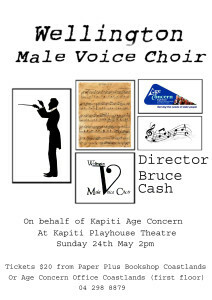 ), the concert, directed by Bruce Cash, is on behalf of Kapiti Age Concern and so is a very worthy cause. Tickets are just $20 from Paper Plus Coastlands or Age Concern Office also in Coastlands (first floor).